Our standard Director's Choir Robe is styled to compliment many of our robe styles. This style is sometimes also know as the Directors Cuff or Cuffed Robe. This Director's gown is available with either a pleated or fluted front, and it's the same price for either version. 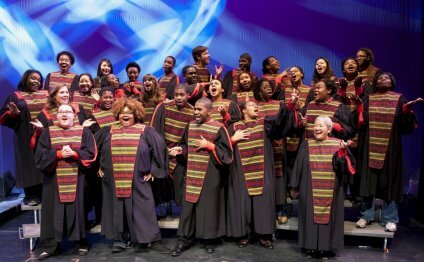 We also offer a free Director's Robe with the order of thirty or more choir gowns. Call us for details! We will work with you to make sure your music Director's Choir Gown is a fine choice to match whichever main Choir Robe you select, and your choir director looks great in his or her gown in front of your school choir or church choir. Pricing is included below, and bulk purchasing discounts are also availble (though it would be pretty rare that an organization would want to order dozens of Directors choir robes at once).